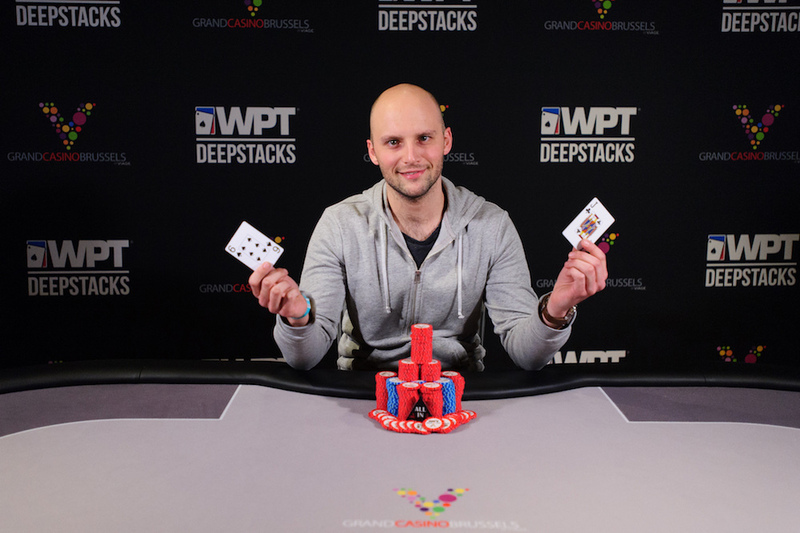 The €1,200 Main Event wasn’t the only big event playing out at Grand Casino Brussels VIAGE in Belgium during the WPTDeepStacks festival. The series featured the €2,200 High Roller and plenty of the region’s top players were in action for the tournament. The WPTDeepStacks Brussels €2,200 High Roller attracted 60 entries and generated a €116,400 prize pool. The top six finishers reached the money, and it was Belgian Matthieu Callens (pictured) taking the top prize of €36,705. The result was the fourth tournament cash of Callens’ career, according to HendonMob.com, and it was by far his biggest. Callens admitted he doesn’t play many tournaments, but enjoys them and may play a few more in the future. Squeaking into the money with a sixth-place result was French player Kalidou Sow. Sow has taken the poker world by storm as of late, with the three most recent results on his résumé leading into the WPTDeepStacks Brussels High Roller being victories. He first won the PokerStars Championship Prague €5,300 Main Event in December for €675,000. He then won the PokerStars Festival London £990 Main Event for £121,803. After that, he won the Winamax Poker Tour Paris €1,500 High Roller for €100,000. Sow’s sixth-place finish in the WPTDeepStacks Brussels High Roller scored him €8,150. Roland Rozel placed fifth in the event for €10,475 and then took sixth in the WPTDeepStacks Brussels Main Event for €14,990. Pierre Neuville finished in fourth place in the WPTDeepStacks Brussels High Roller for €13,970. Others to compete in the WPTDeepStacks Brussels High Roller included Govert Metaal, Kenny Hallaert, and Matthias De Meulder. Those three players did not reach the money. Stay tuned to WPT.com for the latest news and updates from the World Poker Tour, including WPTDeepStacks. Don’t forget to follow WPTDeepStacks on Twitter, like the tour’s page on Facebook, and check it out on Instagram, too!